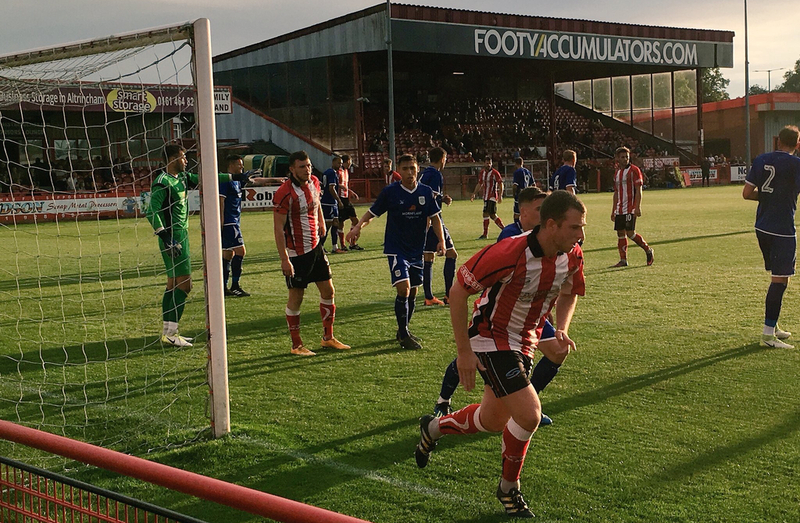 There's been some huge deals that've taken place over the summer, but not many come bigger than this..
Footy Accumulators are to delighted announce that we've put pen-to-paper on a sponsorship deal with Altrincham FC for the 2018/19 season. 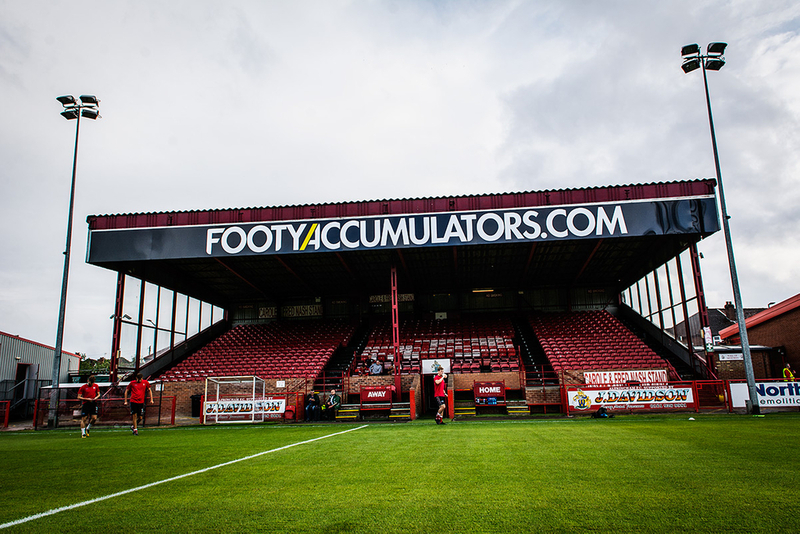 The sponsorship will see Altrincham's main stand being renamed to the 'FootyAccumulators.com' stand and we're elated to partner a club that's clearly on the up. Alty come into the 2018/19 campaign fresh from storming their way to the Northern Premier League Premier Division title last term. They bounced back from two difficult seasons to storm the 7th tier, winning 28 of their 46 league games which saw them register a hugely impressive 95 points. Their title success means that Phil Parkinson's men return to the National League North at the first time of asking and we're ecstatic to be supporting them on their journey up the ladder. Alongside the main stand sponsorship, Footy Accumulators will also be involved in regular content collaborations with the club so watch this space. 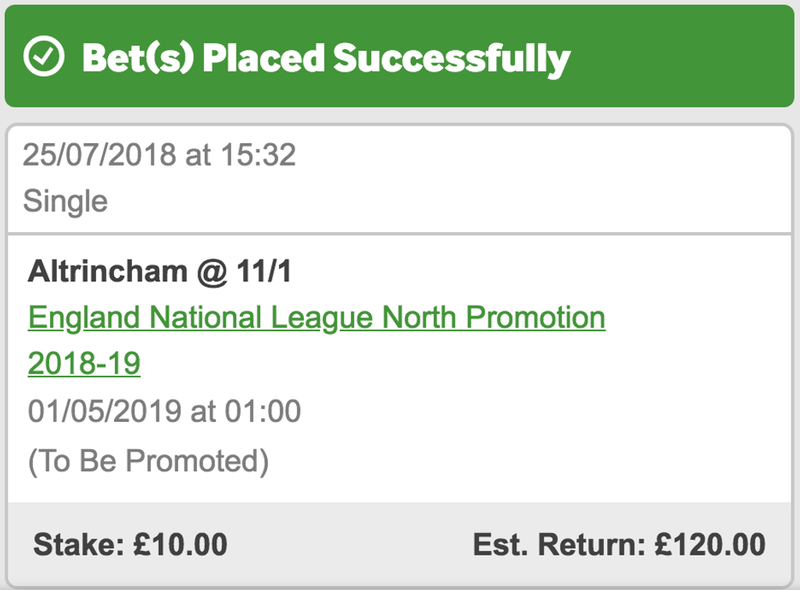 Alty are going for their second promotion in as many seasons and they're available at odds of 11/1 to bring National League football back to Moss Lane for the 19/20 season. It looks like a great price and the momentum behind the team has made us get involved!